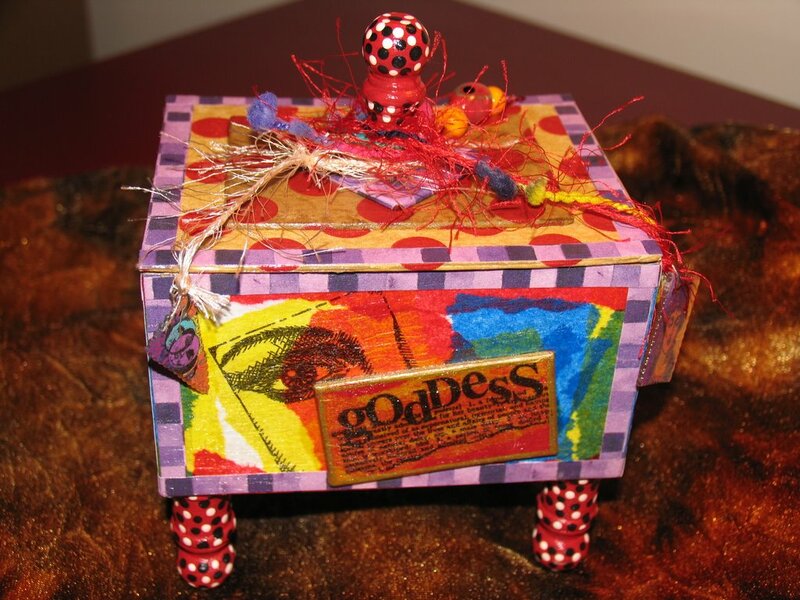 My Goddess Wish Box is completely handcrafted. 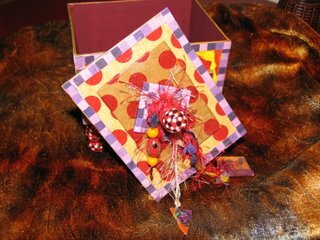 I use sturdy chipboard to construct my boxes (these are not pre-made boxes). The box is embellished with beautiful art, fibers and beads. My babies are on my lap, as I'm sipping coffee, catching up on the posts. Had to stop by to visit, we love, love, LOVE the box. My 2 yr old was jumping in delight on my lap when she discovered it. I love your box! 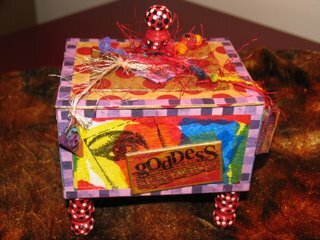 If you are interested I make Goddess beads that you might like to put on your boxes. 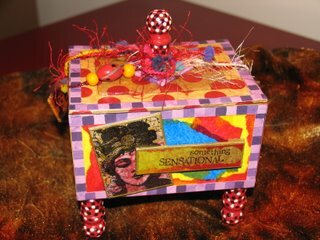 Drop by Penny's World and take a look if you have the time.